Camp Hill Estate is located in the heart of the North Yorkshire near Bedale. The estate is home to Camp Hill Adventure Park, Camp Katur Glamping Village (the glamping accommodation choice look amazing, especially the safari tents) as well as the location for The North Yorkshire County Show. It was approximately 30 minutes from Darlington. The signs once arriving were not great, to be honest, and we did stop off at one area where we spotted a few parked cars, but soon realised we needed to drive further around into the estate to the parking area for the Woodland Kingdom. Drive carefully and slowly as there will be people out on quad bikes, possibly horses and of course, children playing. Once we got to the parking area after driving through and the girls spotting lots of exciting looking play areas through the trees, we went to pay for our car parking pass for the day. There are lots of extra adventure things available to pre-book, or on the day book in when you visit these include Segway experience, Quadbike adventures, as well as a high ropes course, more details can be found over on the website here. 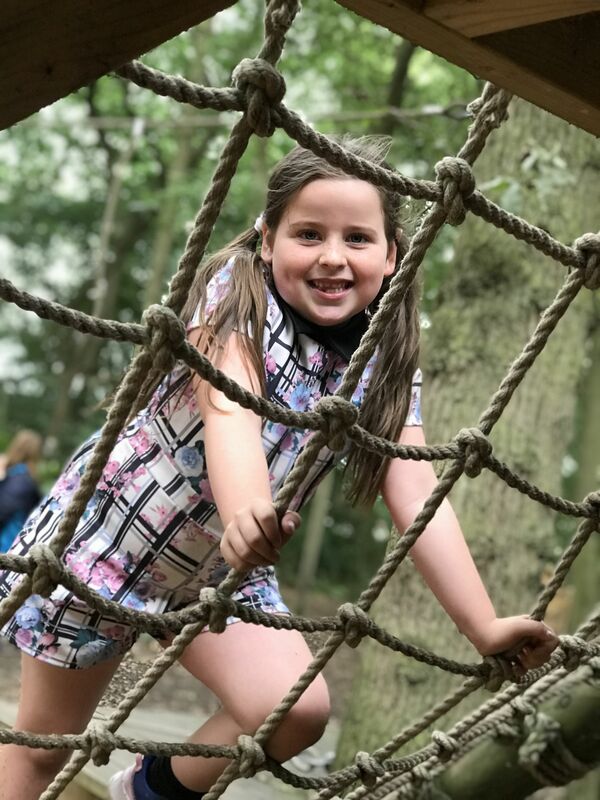 For our very first visit, we went just to check out the woodland adventure park, we had a fantastic time exploring the different areas and especially enjoyed the swing park area with a great variety of novel swings. 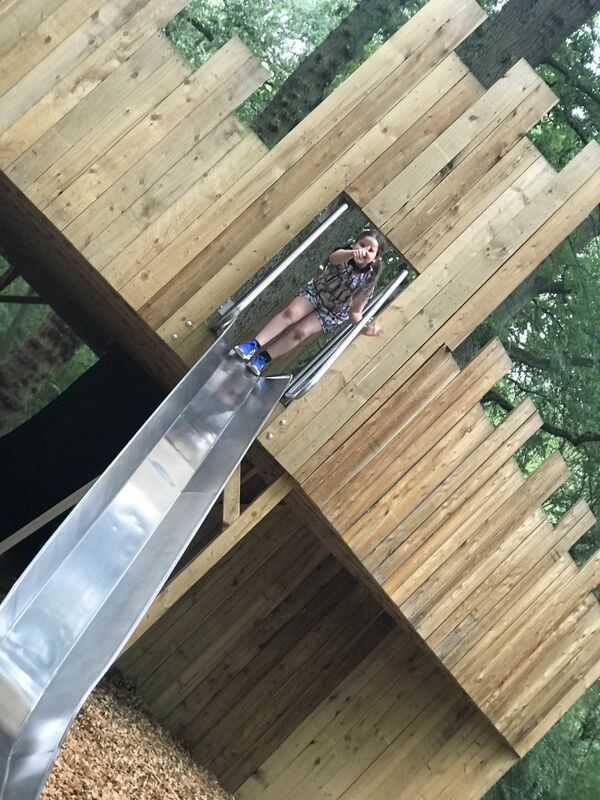 The adventure park had a great variety of play equipment to challenge all ages as you can see in the photos below. With den building, low ropes, assault courses, huge forts and plenty of space for a great game of hide and seek. We had so much fun the layout and choice meant us, adults, couldn’t help joining in with the fun. My youngest was thrilled at me having a go on the zip wire! What’s great about here too, is that they encourage you to bring a picnic or even a bbq to enjoy, with purpose-built areas next to little wendy houses and picnic tables for you to enjoy your disposable BBQs safely with your family. 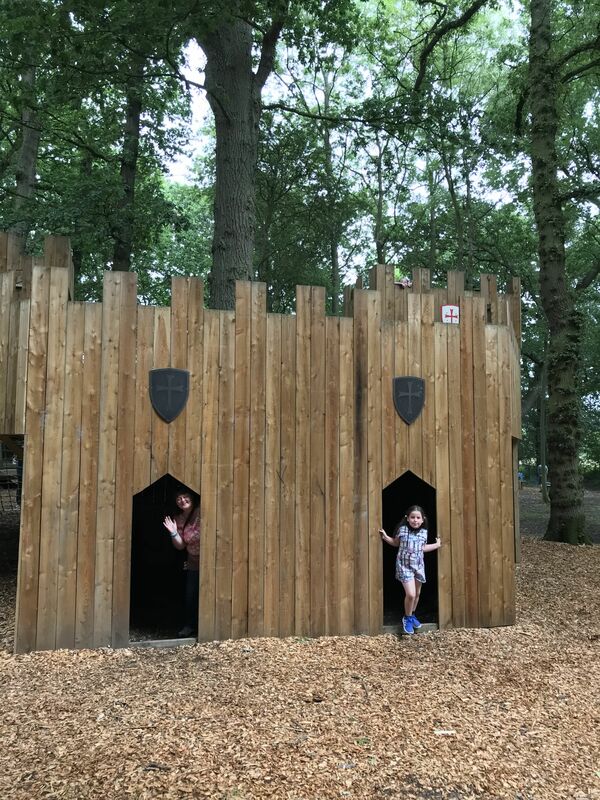 We enjoyed a good few hours exploring and having lots of fun here, we can’t wait to visit again this year with a bbq pack or a picnic to spend even longer enjoying this special place.